PIPER-HEIDSIECK is a Champagne house from the Champagne region of France. Founded by Florens-Louis Heidsieck on July 16, 1785 in Reims, the Heidsieck name was combined with the Piper name in October 1839. 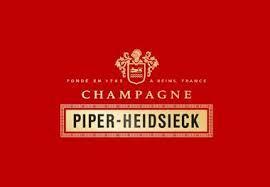 In the late 1980s, PIPER-HEIDSIECK became part of the Rémy Cointreau wine and spirits group. A structured, full-bodied and franc wine. A juicy, fleshy pear and golden grape texture. The finish narrows to citrus and grapefruit flavors. A wine with great fruit, a good mouthfeel and a harmonious balance. Wine Spectator 97"Impeccably balanced and silky, with finely honed acidity shaping the expansive flavors of toasted brioche, crushed blackberry, lemon preserves and honey, revealing hints of Frangelico liqueur and smoked nut. Rich and vivid, with a lasting finish. (AN) *Highly Recommended*"